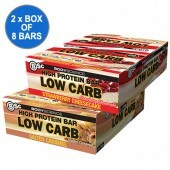 Bsc High Protein Low Carb Protein Bar - Gluten Free Snack! The all-new High Protein Low Carb Protein Bar by Body Science is a guilt-free, clean super treat protein bar that will make you think you're cheating on your diet when you're really not. Whether you're fueling up before hitting the gym or taking a midday snack to avoid those late afternoon cravings, these delicious high-protein bars are the tastiest bars BSc has ever made. 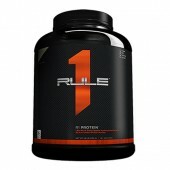 Packing protein and low in carbs these give longer-lasting energy than carb-heavy options. Don’t panic they are coated with “no added sugar” real chocolate. If you think having boring hard-boiled eggs is ok, then think again!!! 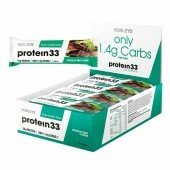 These are the equivalent in protein to 3-4 eggs. Body Science' gourmet bars are delicious and soft textured that will keep you coming back for more every time. 1) The taste of the BSc protein bar is hands down one of the best tasting bars we have tried here at Rock Hard Supplements. 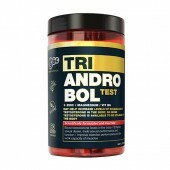 Through a blind study Body Science put together, the consumers often thought the BSc bar was a candy bar thrown into the mix to confuse the testers . 2) The soft & chewy texture of the Body Science protein bar received a round of applause from almost every tester who tried the bar, and they could barely believe it was a clean bar. 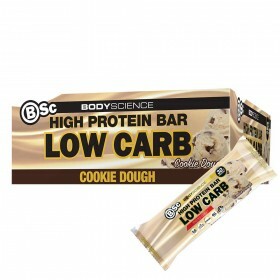 3) Nutritionally speaking the Body Science bar is up there with the best in terms of nutrition and ingredients, keeping it very clean and very low calorie with an incredible tasting bar in return. Clearly there are many reasons as to why the Body Science Protein Bar is up there to be possibly one of the best protein bars we have seen so far, but it all comes down to personal preference. Everyone is different, so... You Be The Judge!! 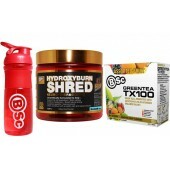 Come into RockHard Supplements today and try the all new BSc Protein Bar!